- This is a MUST BUY resource … all the work for planning and running a program is done for you! “Hoop” Sepak Takraw (5 players on the same team kicking into hoops suspended 15 ½ feet high). - Shows, step by step, how to achieve all the basic skills, and some of the advanced kicks, in the game. - If you're a P.E. Teacher, Recreation Director or Coach, and are not comfortable with demonstrating yourself, just put this DVD in and let it demonstrate the skills for you. A MUST BUY! It's the # 1 Sepak Takraw DVD purchased! - Considered the MOST THRILLING of our DVD's to watch ... it will definately get your new players excited about the sport! - Full Match, Laos vs. the Philippines from the King’s Cup World Championships, Men’s Div. II. - As close as you’d want to get directly behind the end of the court. - Begins with game 'start and ending protocol' (from the start of another match between Singapore and Thailand). - A great DVD to study the refereeing aspect, game strategy & techniques! 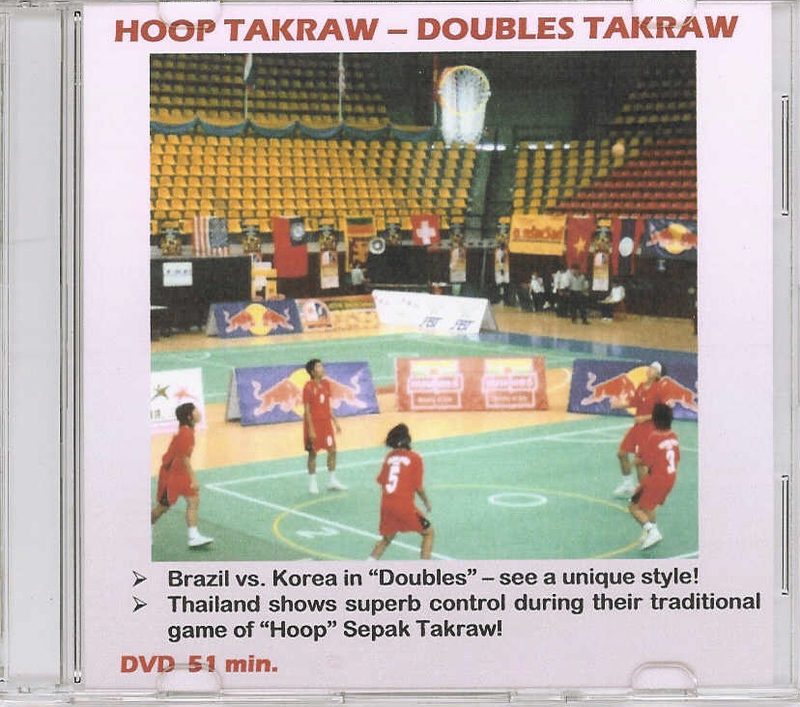 50 minute DVD, the first half which shows Brazil's very soccer style of play as they face Korea in a full match of Doubles Sepak Takraw, an event that is growing in popularity world-wide. 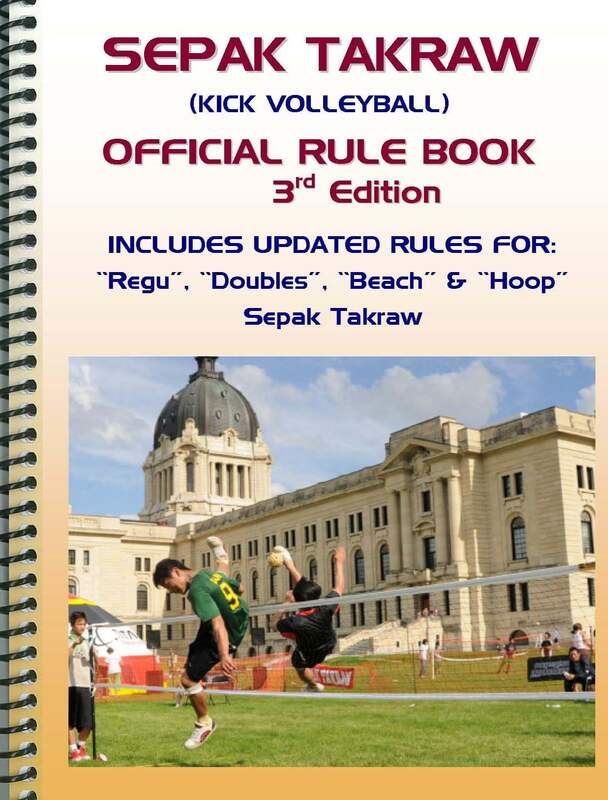 This two-on-two game shares the same court size and most of the same rules as Regu Sepak Takraw (playing 3-on-3), except that serving is done outside the court with the server tossing the ball up to him/herself and one person cannot serve twice in a row - the pairs must take turns serving throughout the match. The second have shows Thailand's relaxed control as they kick takraw balls into hoops hung 15 1/2 feet in the air. 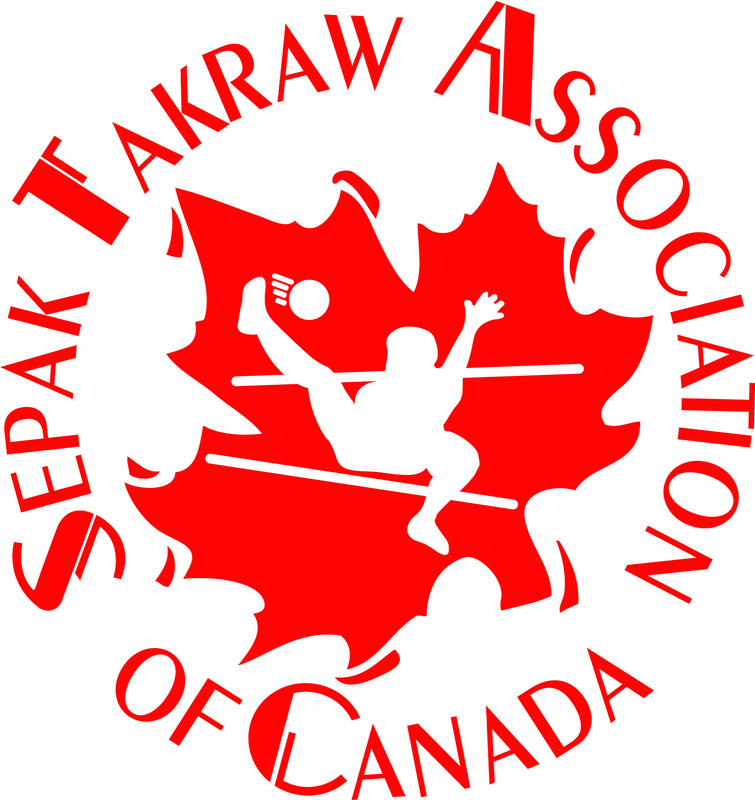 Hoop Sepak Takraw is a traditional game from Thailand that dates back hundreds of years, and it is an excellent game for teaching "setting" skills in Sepak Takraw. The object of the game is basically for a team of 5 players, standing beneath the hoops in a wide circle, to pass the ball around to each other and kick it into the hoops (with inside kicks, outside kicks, knee bumps, headers, shoulder shots and blind kicks) as many times as they can within the given time frame. Each time the ball goes into a hoop, points are awarded. Higher points are awarded for successful hoops with more difficult kicks. You'll be amazed at the control displayed! - ANOTHER MUST BUY DVD, especially for schools, colleges, universities or recreations centres! - Brilliant full color, 19" X 28", glossy finish. - Excellent motivational teaching tool. - Shows each of the 5 basic kicks in being executed. - Shows beginner net action and progresses to the pros. ... and yes they do land on their feet! 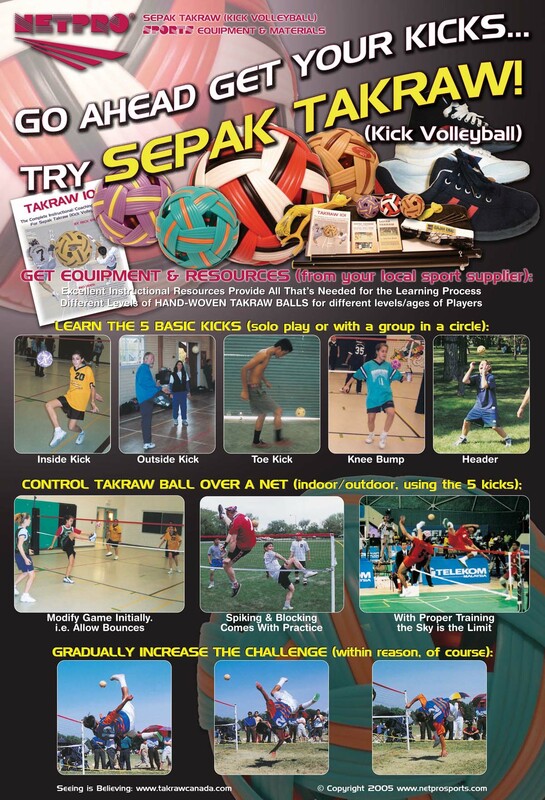 - Also note that anybody can play Sepak Takraw; young, old, male, female, short or tall ... it doesn't matter.